Sixty percent of South Africa’s youth have never worked a day in their lives. To help plug this gap, young South Africans are encouraged to pursue unconventional career options that guarantee employment. They do exist. And considering thousands of would-be tertiary students are on SA universities’ enrolled list every year and only a select few are accepted, what are the other valuable, post-matric study options students can explore? Sophie Niemann, co-founder and CEO of Bushwise – leaders in accredited field guide and wildlife training programmes says a career as a field or nature guide is the answer. She says this “non-traditional” career choice gives students the unique opportunity to explore the wild, conduct continuous research on the industry and in-turn contribute positively to the country’s nature conservation sector. There’s more good news – since 2012 Bushwise has successfully managed to secure permanent employment for all its South African graduates in the wildlife and nature conservation industry. “In a country like ours where our level of unemployment has sky-rocketed, our youth need to start thinking out-of-the-box and consider career options that translate into employment. It’s the only way for us to win the unemployment war,” Niemann says. Training and development is at the centre of Bushwise’s offering and the organisation offers four nationally accredited certifications on its six-month course, it includes: Field Guides Association of Southern Africa (FGASA) level 1 (NQF Level 2), First Aid Level 1 & 2, Apply the techniques for operating four wheel drive (4WD) vehicles in on-road and off-road conditions – Unit Standard 254135 and Sasseta Accredited Firearm Certificate. Programme trainers are industry veterans with more 50-years’ experience. With the wild as a virtual office, Niemann says a career as a field guide or nature trainer is anything but a 9am-5pm, office-bound job. Instead it allows candidates to experience the “absolute best” of South Africa and become ambassadors for the wildlife, the country and the African continent. “This is the perfect opportunity for those nature-loving folk. It serves as a platform to learn all there is to know about wildlife and nature conservation. Since this industry is so niche, you’ll be surrounded by likeminded people who share your passion, and you’ll get to do what you love every day,” Niemann says. She says the organisation has a good industry network both locally and abroad and the recruitment team works hard to secure placement for all students once the programme has concluded. “We’ve managed to succeed in this respect for the past six years. 100 percent of our South African graduates walked straight into permanent employment positions; this bodes well for them, for us and the country’s employment levels,” Niemann says. Interested students can visit www.bushwise.co.za for further details. 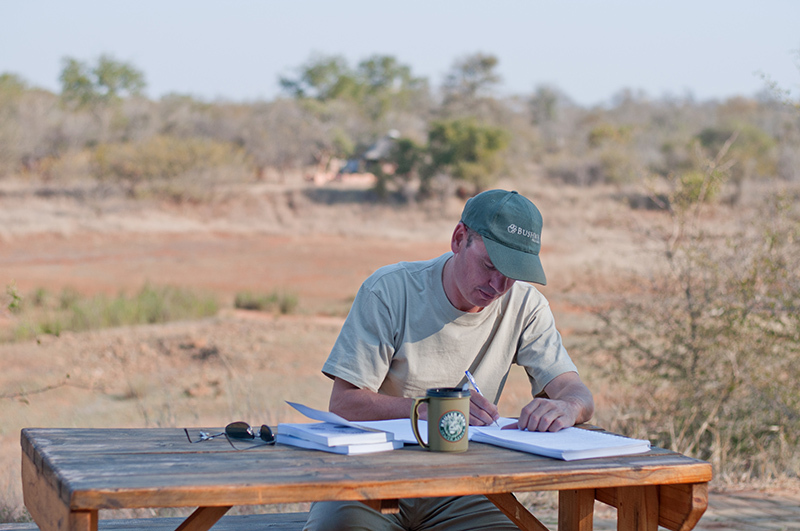 Established in 2006, Bushwise is the leader in Accredited Field Guide and Wildlife Training Programmes and provides its students from all over the world with Field Guides Association of Southern Africa (FGASA) certifications. The organisation’s exceptional standards and excellent reputation makes its accredited 23 and 50 week Field Guide training courses, Back-Up Trails courses and Work Placement programmes both respected and highly recognised in the hospitality industry. Bushwise was awarded with the ‘Top International Internship’ prize at the 2017 GoAbroad Innovation Awards. In 2018, the company launched a new recruitment arm of the business, which focuses on placing South African and International participants into positions at lodges across the continent, in an attempt to continue to uphold the 100% employment rate for South African graduates since 2012.